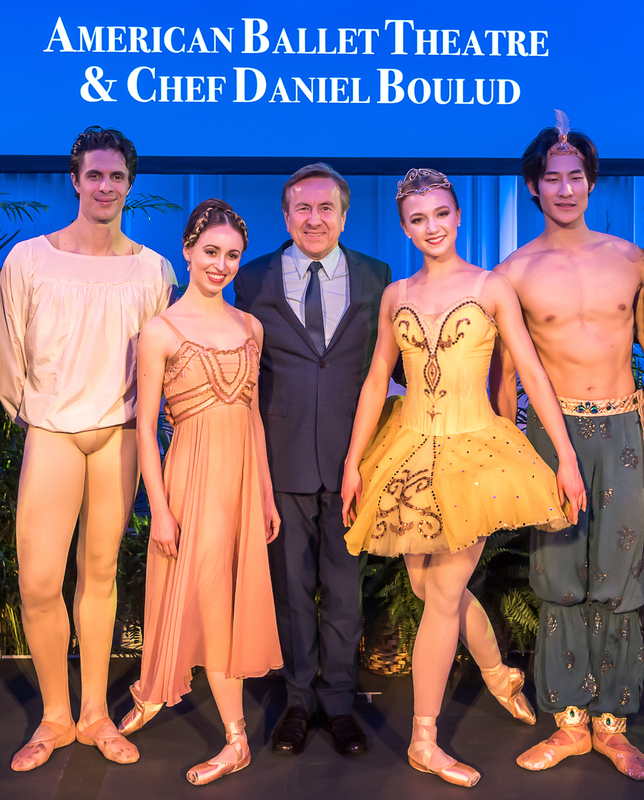 MIAMI, Feb. 14, 2019 /PRNewswire/ -- Celebrity Cruises is taking its already unrivaled vacation experience to greater heights by joining forces with two legendary names in the entertainment and culinary worlds—the iconic American Ballet Theatre and world-renowned Michelin-starred Chef Daniel Boulud. Both of these cutting-edge partnerships will create unforgettable onboard experiences unlike anything at sea. "Our guests know to expect something unique, upscale and unexpected each time they step onboard. 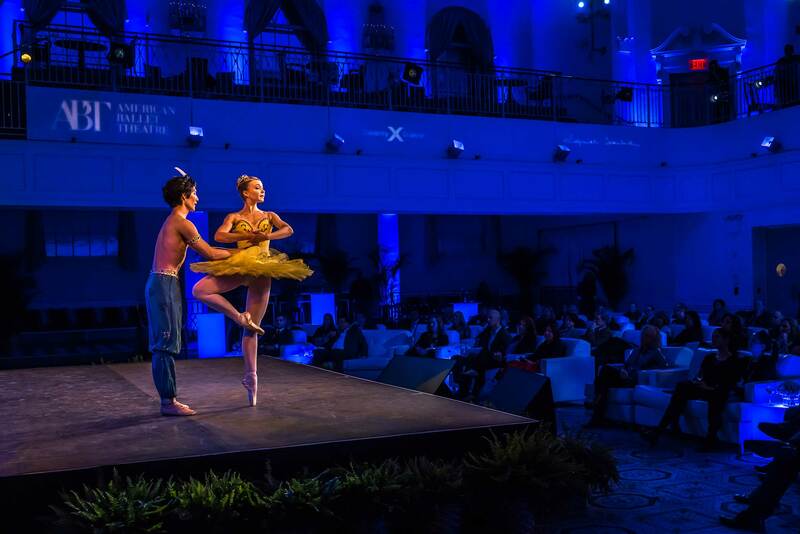 By partnering with American Ballet Theatre and the world's leading culinary authority, Daniel Boulud, we are creating experiences that won't just meet those expectations — but shatter them," said Lisa Lutoff-Perlo, President and CEO, Celebrity Cruises. "At Celebrity Cruises, we are always looking for new ways to open up the world, not only through the places the brand visits, but also through world-class entertainment and culinary experiences," said Brian Abel, SVP, Hotel Operations, Celebrity Cruises. "I cannot think of better partners than American Ballet Theatre, who will bring the best classical dance experience on board, and Chef Daniel Boulud, a chef that all other chefs admire and respect for hospitality, creativity and excellence both in the kitchen and dining room." Celebrity is teaming up for a pas de deux with one of the most acclaimed dance companies in the world, American Ballet Theatre. Founded in 1939, American Ballet Theatre has been a pillar in New York City's cultural community and America's artistic landscape for nearly 80 years. American Ballet Theatre has wowed audiences in all 50 states and in 45 countries, performing for nearly 300,000 annually. Now, through an exclusive partnership that's a first in the industry, they're coming aboard Celebrity's ships to bring guests the best classical dance experience at sea. As part of the partnership, guests will have the opportunity to enjoy exclusive American Ballet Theatre guest performances on select ships, join the dancers for intimate seminars, ballet barre classes, and embark on unforgettable excursions to American Ballet Theatre performances in some of our most dynamic ports of call. "American Ballet Theatre's mission is to bring the best of ballet to the widest possible audience," said American Ballet Theatre Executive Director Kara Medoff Barnett. "We are thrilled to redefine "widest" to now include audiences at sea! This partnership will allow ABT's remarkable dancers to see the world and will invite Celebrity's guests to discover the magic of ballet." Founder of an award-winning restaurant group that spans the world, including his legendary Michelin-starred flagship, DANIEL and Café Boulud, in New York City, Chef Daniel Boulud is a name every foodie knows. Now, he's joining culinary forces with Celebrity and the brand's own Michelin-starred Chef and Associate Vice President of Food and Beverage Operations, Cornelius Gallagher. As Celebrity's Global Culinary Brand Ambassador, Chef Boulud will design signature dishes for Luminae, the brand's exclusive restaurant for suite class guests. Celebrity is also introducing Chef's Table by Daniel Boulud, complete with a private galley tour and five-course dining experience, plus guest chef appearances on board. 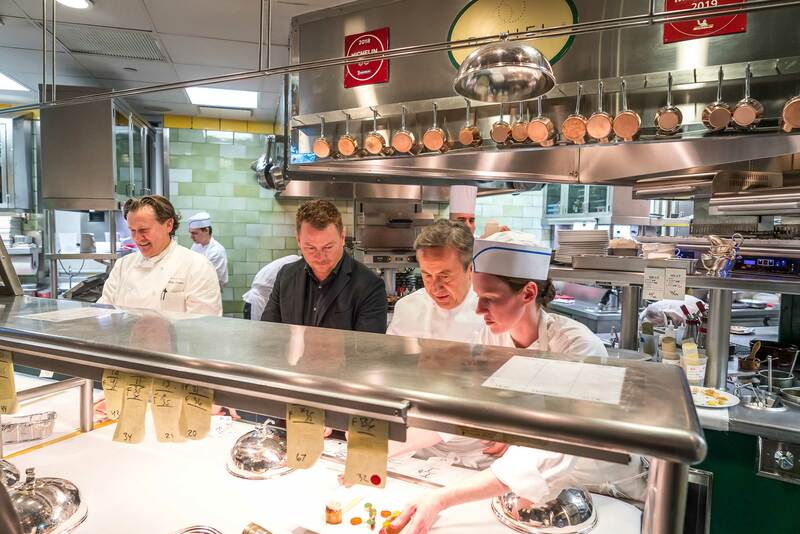 The brand is also working closely with Chef Boulud on a culinary mentorship program where the most talented up-and-coming chefs can hone their craft by learning from the best – both in Celebrity's kitchens and in Chef Boulud's. 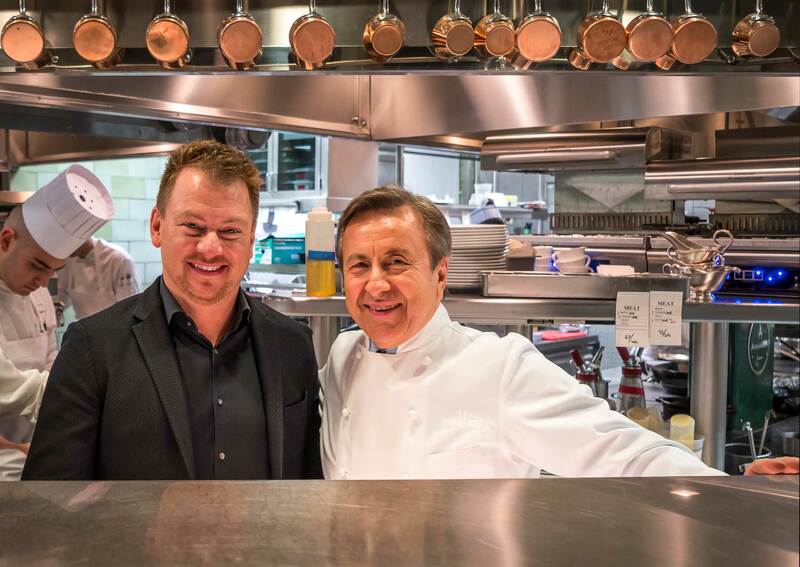 "I'm excited to embark on this partnership with Celebrity Cruises as we share a common passion for excellence, personalized service and creative cuisine for our guests," said Boulud. "I'm constantly inspired by the local markets in other destinations when I travel around the world and those influences always make their way on to my menus. I look forward to offering cruise guests a taste of my cuisine that complements Celebrity's global offering." 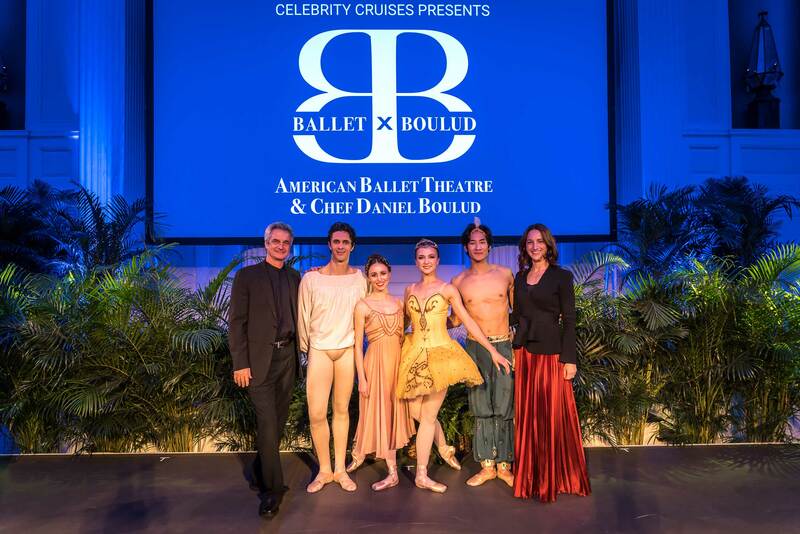 The new experiences with both American Ballet Theatre and Chef Boulud will begin rolling out across the fleet in 2019, starting with Celebrity Summit, then Celebrity Equinox and Celebrity Millennium. To learn more about Celebrity's partnership with American Ballet Theatre, visit www.celebritycruises.com/things-to-do-onboard/entertainment/american-ballet-theatre. More information regarding the brand's partnership with Michelin-starred Chef Boulud can also be found at www.celebritycruises.com/things-to-do-onboard/eat-and-drink/daniel-boulud. Celebrity Cruises' iconic "X" is the mark of modern luxury, with its cool, contemporary design and warm spaces; dining experiences where the design of the venues is as important as the cuisine; and the amazing service that only Celebrity can provide, all created to provide an unmatchable experience for vacationers' precious time. Celebrity Cruises' 13 ships offer modern luxury vacations visiting all seven continents. Celebrity also presents incredible Cruisetour experiences in Alaska and Canada. Celebrity is one of six cruise brands operated by global cruise vacation company Royal Caribbean Cruises Ltd. (NYSE:RCL). For more information, dial 1-800-437-3111, visit www.celebritycruises.com, or call your travel advisor.